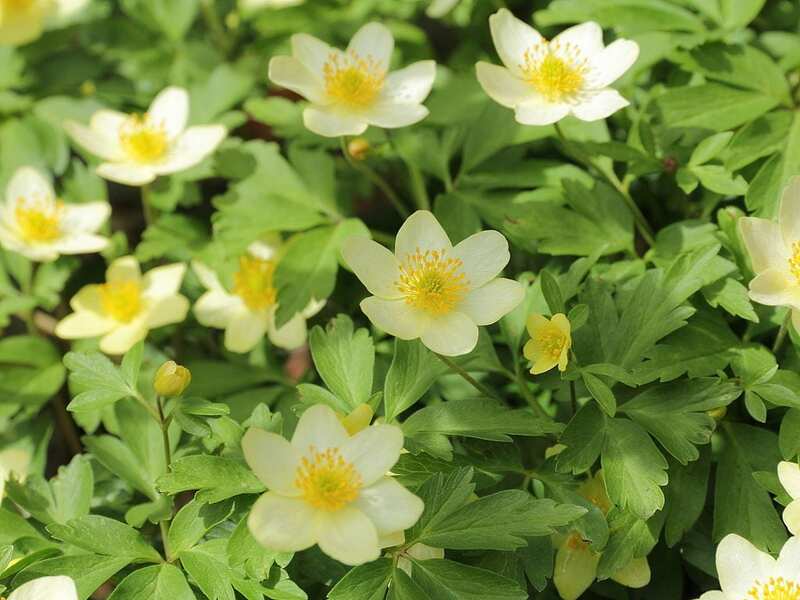 A lovely native hybrid wood anemone between Anemone nemorosa x Anemone ranunculoides with soft yellow flowers, the colour of unsalted butter, appearing in spring. Excels under shrubs or trees where it will happily bulk up. Summer dormant. Very little attention is needed. Lift the woody rhizomes after dormancy and place in their new position, or pot up and grow on, planting out the following spring.